NU Bulldogs vs FEU Tamaraws at UAAP Finals 2014 (Season 77): FEU vs NU Game 3 championship finals has just happened at the Smart Araneta Coliseum with record-breaking crowd attendance of 25,118. It was aired live on ABS-CBN Sports + Action Channel 23. 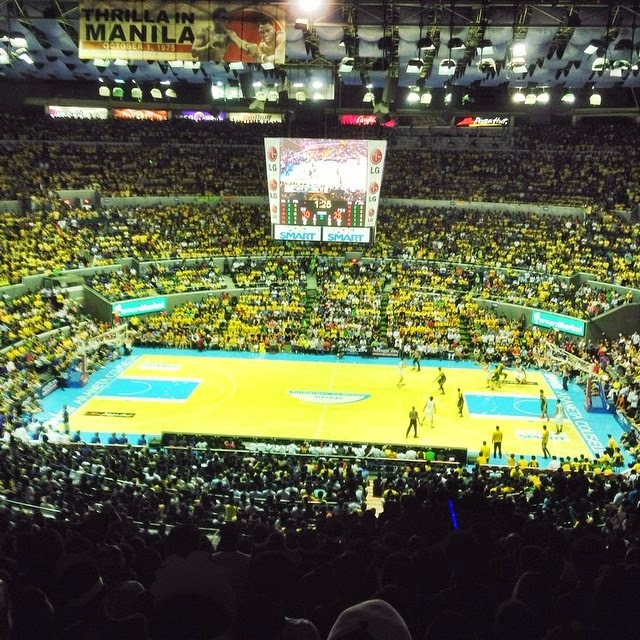 FEU Tamaraws claiming their 20th championship title. NU Bulldogs claiming their 1st championship title in 60 years. The NU Bulldogs won the championship! Congrats! Alfred Aroga was named Finals MVP. He almost had a double-20 during Game 3: 24 points and 18 rebounds. Wow! On the average, he had 16 points and 13 rebounds during the Best-of-3 finals. It was only the 2nd men's basketball championship title ever for NU in UAAP history. The last time they won was in 1954, also against FEU. FEU on one hand last won the championship in 2005, against La Salle Green Archers. They were also runner-up to Ateneo Blue Eagles in 2010.